CRIF SpA specializes in credit information systems, business information and credit management solutions for banks, financial institutions, utility companies and businesses. CRIF offers support in every phase of the customer relationship: from the planning of development strategies to acquisition, through to portfolio management and credit collection. Established in 1988 in Bologna (Italy), CRIF operates across four continents: Europe, America, Africa and Asia. CRIF’s SkyMinder platform allows the global market to access commercial risk data. Countries worldwide are available on SkyMinder, with no barriers in terms of political of economic turmoil or instability, such as embargos, or internal or external conflicts. All entities considered as companies are evaluated in more than 230 countries and territories via SkyMinder and all business information is ready to for customers all over the world to analyze. For more information, visit www.crif.com. Bureau Van Dijk captures and treats private company information for better decision making and increased efficiency, so we are ideally suited to help corporate credit professionals. Orbis is the world’s most powerful comparable data resource on private companies with information on about 300 million companies across the globe. Credit Catalyst combines information from Orbis with your own knowledge of your customers to get dashboard views of your portfolio, so your risk landscape is easier to understand. You can set tailored alerts to monitor your data for changes such as new financial data available or a change to one of our financial strength scores. And these alerts can trigger actions or reviews. We offer free consultations and free trials. Get more information and register your interest at https://www.bvdinfo.com/en-gb. Coface has been supporting the development of trade since 1946 and is now a worldwide leader in domestic and export credit insurance. Coface is rated AA- by Fitch and A2 by Moody’s. Every day, the Group’s 4,100 employees located in 67 countries secure the sales made by its 50,000 client companies in over 190 countries. In close partnership, it works with them at every stage of their business life cycle, helping them to evaluate their risks and make the right decisions. Coface in the U.K. and Ireland provides solutions to help businesses trade safely - domestically and globally. Visit www.cofaceuk.com to know more about us. CREDITY, the brand name of CRIF Credit Solutions GmbH, is a new innovative B2B credit management solution, designed to help medium to large enterprises improve their daily portfolio management of international business customers. 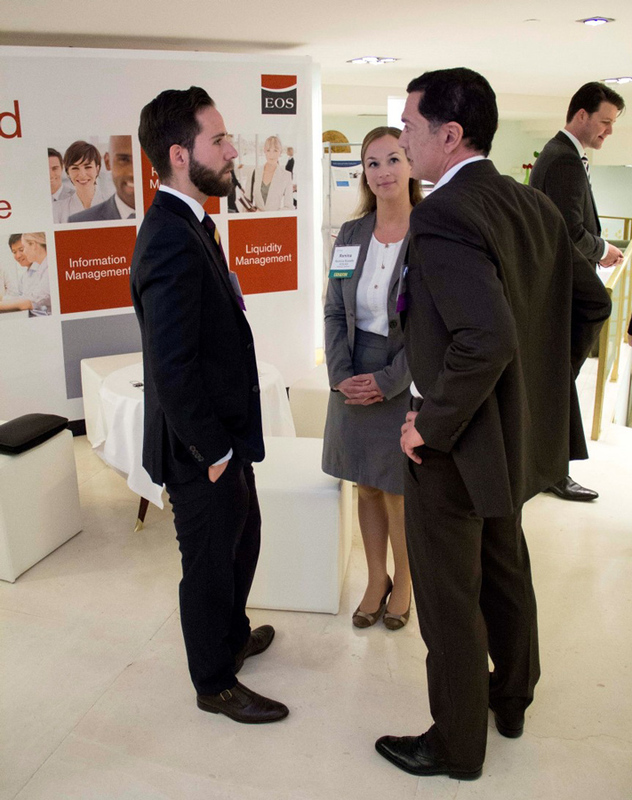 The CREDITY team, based in Hamburg, Germany, is comprised of experienced credit risk and business development experts. Their aim is to solve credit and risk management challenges from strategies to solutions, by offering an innovative combination of management consulting, predictive analytics and technology. CREDITY is a cloud-based tool (SaaS) from one of the most modern and secure European data centers that supports all desktop and mobile devices. This credit management solution includes SkyMinder, the CRIF platform, with access to risk data from more than 200 million companies in 230 countries and territories. CREDITY is setting a new industry standard compliant with credit management best practice recommendations from international finance and credit associations. With its new and innovative functionality and features, CREDITY marks the next level of credit management solutions. Serrala Group GmbH is a global software and solutions expert in the IT and finance sector. Formerly known as Hanse Orga Group, Serrala’s suite of innovative, end-to-end solutions provides efficient and secure optimization of financial processes for businesses from order to cash, procure to pay and treasury to data and document management. Our family of best-in-class software solutions creates a complete inbound and outbound payments ecosystem that provides security and compliance at every step of a company’s financial value chain. CFO Services TriFinance is a European service provider with a focus on finance and advisory. The company provides transition and support capabilities as well as interim management through project sourcing. It also services in recruitment and selection. For this purpose, TriFinance has a permanent pool of 500 highly specialized project consultants who can be deployed flexibly. The firm also offers extensive expert service in the field of management consulting. Multidisciplinary teams deliver pragmatic advisory services to organizations and to companies in the private and the public sector, with TriFinance ensuring implementation and realization. CFO Services is one of TriFinance's expert specialty units covering the company's management consulting offering. Moving beyond the finance function, CFO Services supports C-level clientele to make organizations future-fit. Drawing upon a combination of functional expertise, operational experience and pragmatic advisory methodologies, the CFO Services team assists domestic and international companies in assessing, designing, implementing and optimizing business processes, controls and organizational structures. CFO Services helps organizations to become data-driven by unlocking their unexplored data potential, but it also assists them in improving their financial statements and in taking their credit management to a strategic level. TriFinance has branches in Amsterdam, Rotterdam, Antwerp, Ghent, Brussels, Louvain-la-Neuve, Hamburg, München and Düsseldorf. As a network organization with a strong focus on human development, knowledge sharing, innovation and organizational development, it is part of the Dutch Parklane Insight group, a European growth company with 750 employees. 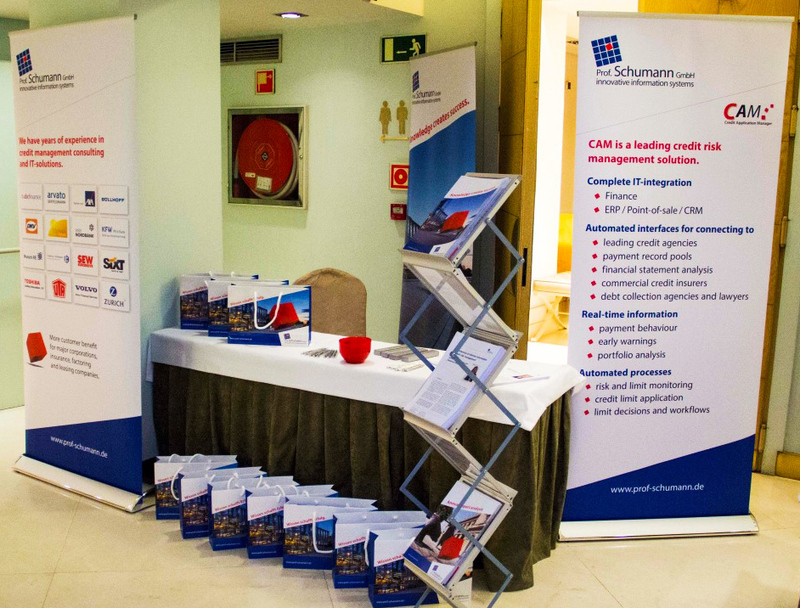 Increase your company’s visibility and turn sales leads into profits at FCIB’s Annual International Credit and Risk Management Summit in Dublin, where decision-makers gather for the premier international credit industry event of the year. Summit attendees seek to learn about the latest and most effective techniques, practices and systems to reduce credit risk, and improve AR metrics and their enterprise productivity. With mounting pressure to improve working capital and supply chain finance, FCIB members are empowered to recommend, authorize or purchase your products and services. Take advantage of this opportunity to meet them face to face. Your investment will be worth it. Register to Become an Exhibitor or Sponsor Today! Atradius provides trade credit insurance, surety and collections services worldwide through a strategic presence in more than 50 countries. Atradius has access to credit information on more than 240 million companies worldwide. Its credit insurance, bonding and collections products help protect companies throughout the world from payment risks associated with selling products and services on trade credit. Atradius forms part of Grupo Catalana Occidente (GCO.MC), one of the leading insurers in Spain and worldwide in credit insurance. For further information, visit atradius.com. Coface offers 50,000 companies around the globe credit insurance solutions to protect against the risk of financial default of their clients. The Group is present in 100 countries, employs 4,300 people and posted a consolidated turnover of 1.411 billion euros in 2016. Coface publishes quarterly country and sector risk assessments based on its knowledge of companies’ payment behavior and on the expertise of its 660 underwriters and credit analysts. For more information, visit www.coface.com. EurocollectNet is a network of specialised lawyers engaged in B2B debt collection on a national and international basis. The network covers a total of 41 European countries Friends of EuroCollectNet cover Africa, America, Asia and Australia—such as LEXAfrica, which is the largest business lawyer’s network on the African continent. EuroCollectNet is member of FCIB. For more information, visit eurocollectnet.com. Summit attendees seek to learn about the latest and most effective techniques, practices and systems to reduce credit risk, and improve A/R metrics and their enterprise productivity. With mounting pressure to improve working capital and supply chain finance, FCIB members are empowered to recommend, authorize or purchase your products and services. Welcome Reception, Luncheons and Dinner. at a fee USD $700 each. executives, who purchase your products. chain management, and banking and financial services. AR metrics, productivity and profit goals. 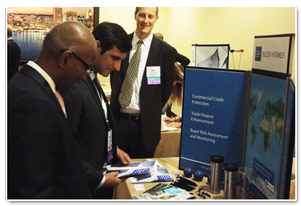 To demonstrate your commitment to the credit community, as a Summit exhibitor, you may invite up to three of your most-valued clients at the special registration rate of USD $600. Your company will sponsor the registration fees for your clients. Invitations should only be extended to those involved in day-to-day export trade credit management and who are not existing members of FCIB. Register to Become an Exhibitor Today!